The Sustainable Dance Floor returned to the Heineken House at Coachella 2018. In three year’s time the dance floor has become the highlight of the House. 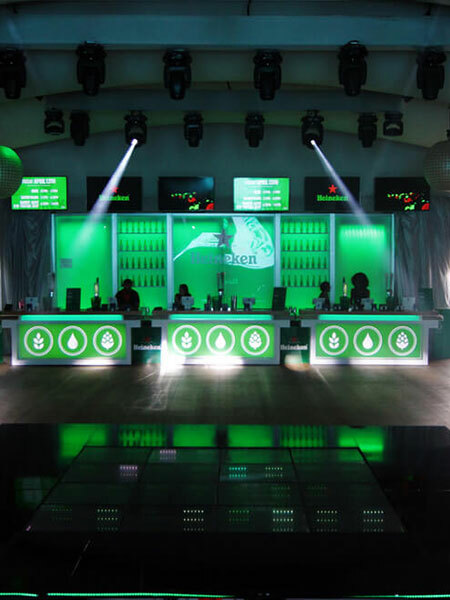 This time around the Sustainable Dance Floor not only stored the energy created by the party people, it also powered in-housing charging stations for all Heineken fans to charge their devices. Heineken’s vision for Coachella 2018: create a true sustainable desert oasis while providing festival attendees with a best-in-class, eclectic musical lineup.